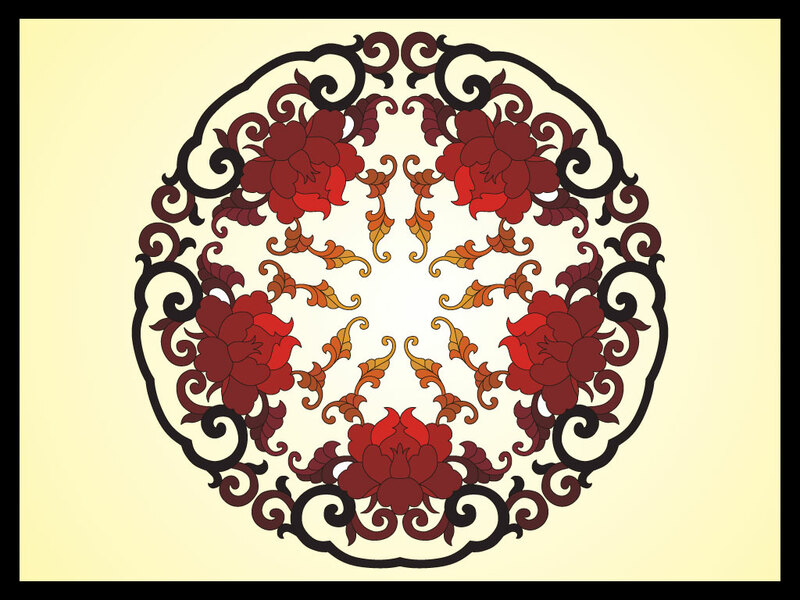 Download this Asian style decoration with traditional Chinese flowers, swirls and scrolling vectors. Ornate, beautiful and detailed I will make a perfect focal point for a design or a great element for framing or a repetitive pattern. Download as AI and PDF for your vector library. Tags: Asian, China, Circle, Floral, Flowers, Japan, Round, Symmetrical.